Savvy restauranteurs are as fresh and innovative as the food they serve. While diners view fast-food restaurants as convenience on a budget, they want more from other dining-out experiences. Given the rising costs of fuel and food, today’s diners expect their investment to be personalized, enjoyable and quite possibly, a two-three hour reality-escape with culinary-wow. Successful owners and investors know that the right restaurant designer and contractor can turn a plan on paper into an experience worth remembering. And that adds up to word-of-mouth advertising and repeat business. Recent trends show restaurants becoming smaller, greener and turning up in unlikely places. To capture more of a shrinking market, owners are becoming more innovative in their cuisine and restaurant design and aware of potential appeal to different demographic markets. But, before settling on a concept or design, owners must make basic decisions that will affect their return on investment: Do I go with new construction? 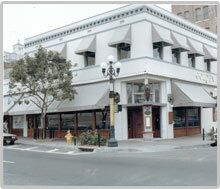 Do I convert an existing restaurant site or a non-restaurant site? Or, do I consolidate my restaurant with another food establishment or related business? Michael Mihos Construction blends function, style and a hands-on approach in their restaurant designs and renovations. With decades of experience, Michael Mihos Construction can guide you through the staggering number of decisions necessary for building or renovating a restaurant. 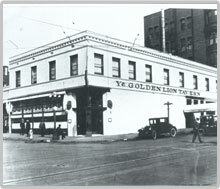 A lion sculpture proudly stands guard at the Golden Lion Tavern in San Diego’s Gaslamp Quarter daring any more disruptions. 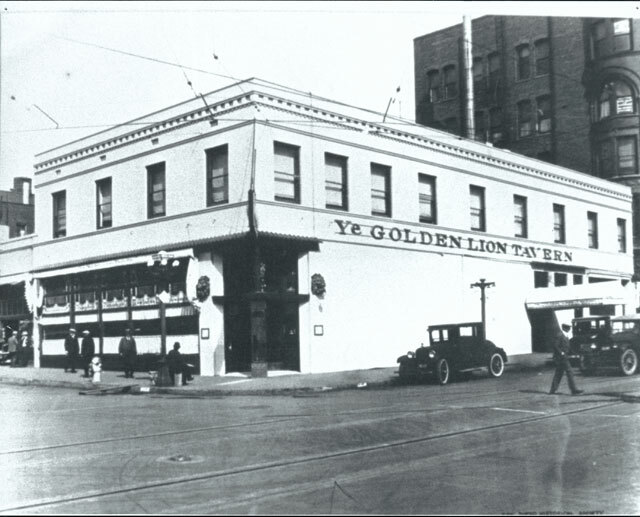 The Golden Lion Tavern, built in 1906, has weathered Prohibition, several address changes, a major fire and a return to its original location. 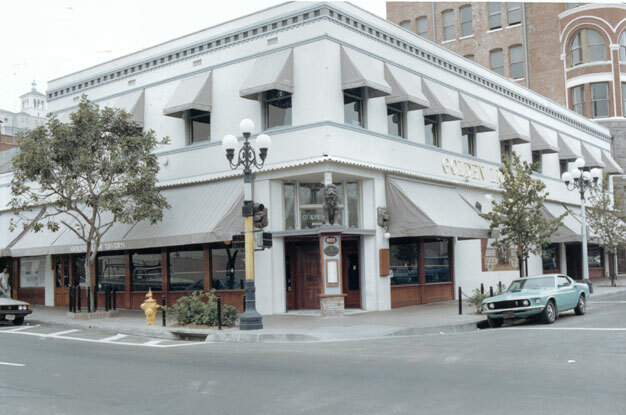 After the establishment was gutted by fire in the 80s, Michael Mihos Construction took on its restoration and redesign and crafted it into a restaurant with personality and functionality. The restaurant features a spectacular stained-glass domed ceiling; several beautiful, one-of-a-kind murals; a 25-stool bar; and a kitchen designed to produce mouth-watering meals.